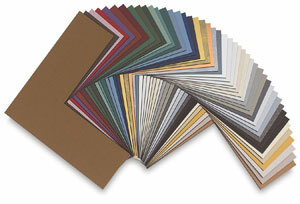 These classic boards have a fine-quality surface paper that is highly fade and bleed resistant. The white core is made of unprinted, reclaimed wood pulp fibers and, along with the backing paper, is buffered and acid free. Individual boards are 4-ply, and measure 1/16" (1.6 mm) thick.